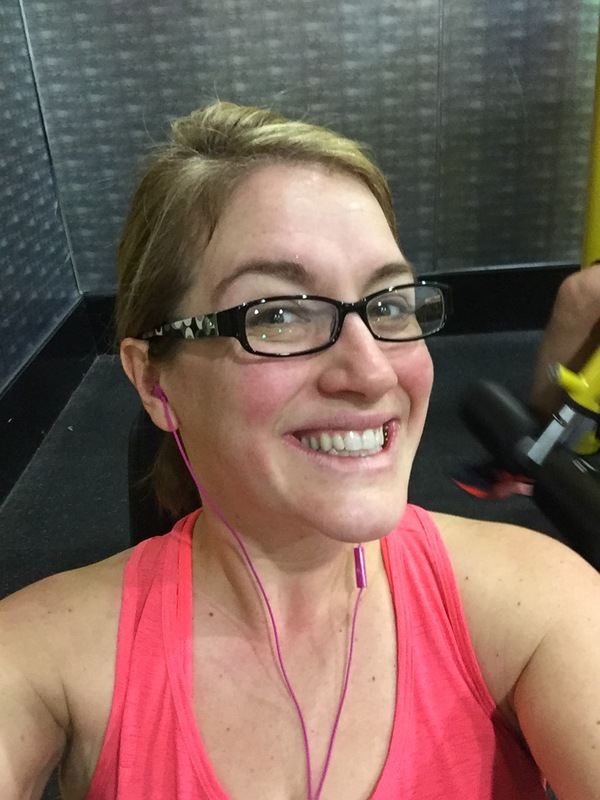 About six weeks ago, I received an email from Weight Watchers 1, asking me if I would like to help roll out "Beyond the Scale!" You know me, I get excited about everything, so I considered this a great honor and privilege. And then I was promptly sworn to secrecy. For someone like me, the chronic over-sharer, this was torture! *I was not paid for compensated in any way for participating in this beta test, so I'm not a paid spokesperson. Which is good because you'll get to see the good, the less good and my truest impressions. In order to make this more manageable for you to take in and for me to write, I've developed the following schedule for releasing information via this blog this week: Monday: First impressions Tuesday: Food Impressions Wednesday: Fitness Impressions Thursday: How Did You Do It? 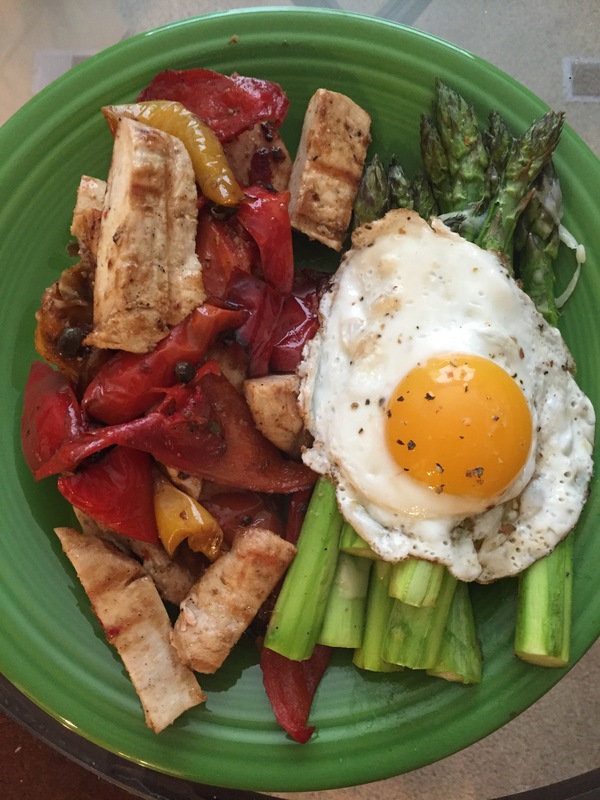 Friday: A week's world meal plans to help you get ready for next week! And, because I think having good resources at your fingertips is half the battle, I have teamed up with Gina from SkinnyTaste 2 and Emily from Emily's bites, Emily's Bites 3 to bring you a delicious recipe every afternoon for the month of December, complete with its SmartPoints total! Every night I'm also going back over all of my own meals for the past couple of weeks, to show you why I chose the meals I did and what eating on the new plan looked like in my home! So because you're awesome and I adore you, and because we're all in this together you're getting: 1. A blog post about SmartPoints each morning. 2. A recipe with SmartPoints each afternoon (via Facebook). 3. Sample meal ideas each evening (via Facebook). If you have not liked Trading Cardio for Cosmos 4 on Facebook, I strongly encourage you to do it and to share it with friends and family who are on their own weight loss journey. Now, let's get into it! 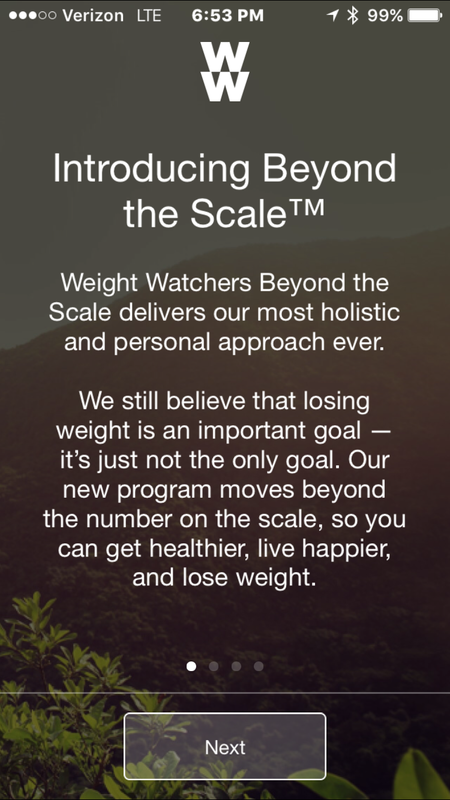 Beyond the Scale Beyond the Scale, or BTS, is Weight Watchers moving away from a more diet mentality, and moving towards acknowledging that it's not just what you put in your mouth that effect your weight loss. It's your emotional wellness, it's your mood, it's your activity level. What I really loved about it is that the plan is tailored specifically to you and what your life is like, versus some one-size-fits-all model that was really one-size-fits-some. For example, to assume that an 80-year-old woman who weighs 110 pounds should receive the same number of weekly points as a 30-year-old, 200 pound man is crazy. The goal is that the customized programs will help members lose more, but I can tell you that some of my beta-test peers who do not exercise really found their new plans to be restrictive, because they had WAY less weekly points to draw from. SmartPoints SmartPoints is Weight Watchers moving to more natural and healthy food choices, versus many of the packaged or processed foods that we've seen before. By including sugars in the calculation, and differentiating total fat versus saturated fat, the plan really targets the things that would have impeded or slowed weight loss. For those who do Simply Filling or those who eat clean or eat mostly power foods, this plan is not going to feel like much of a change at all. But for those who include foods like yogurt, granola bars, crackers, chips, or other snack foods like that, the plan is going to require some retooling. I saw several yogurts double in points, and a lot of the sweeter desert foods or snacks also went up significantly. I was delighted to see proteins like egg whites, chicken breast, all fish and seafood, all went down in SmartPoints. Meaning you can eat more protein or a bigger portion, for less or the same number of points as before! One thing I found incredibly interesting is now when you input fruits and vegetables into a recipe on the recipe builder, the recipe builder automatically knows that those are 0SP foods. BUT, there is a button you check if you are making a smoothie called "blended," and if you input fruits and veggies into a blended recipe, then the fruits and vegetables have SmartPoints. The jury is still out on whether not smoothie lovers are going to buy into that particular feature! The minimum number of SmartPoints an individual can get each day is 30, which is where I landed. Weekly points can fluctuate from as low as 21, to the highest I've seen so far, which is 42. I landed at 35 weekly points. FitPoints I have yet to see a really good explanation of FitPoints in their new format. I love the idea that every day you have a goal for exercise, and that your goal again is customized to who you are and how active you are. I was given a goal of nine FitPoints per day, which is achievable by walking 9000 steps. And when I first started to sync my fit bit to my app, I was amazed! Look at all those points! You see, FitPoints are not equal to activity points and you get more FitPoints for the same activity. And then, they explained that we are not necessarily supposed to swap those points like we used to. The plan is designed around eating your daily points, eating your weekly points, and that's it. I will say, as someone who regularly enjoys trading cardio for cosmos, I'm not 100% sure or sold on not exchanging my FitPoints for those things I like to splurge on. There is a provision for those who exercise intensely (which I believe I would fall into the category of), because our bodies require more protein and more food, to keep up with the intensity level and frequency of our workouts. I'm told that a more detailed explanation of FitPoints is coming in Week Four, and that WW wants to encourage everyone to focus on learning the new point system, planning out great menus and getting the food aspect of the program down, before worrying about the exercise. Overall impressions I really, really like the ideology behind BTS. I feel like the new program looks at not just what you *can* do, but what you *should* do for prolonged and sustainable weight loss. It is a subtle way of nudging us into making food choices that are more healthy for our bodies. Yes, you can eat a bag of gummy bears because you have the points for it, but you would be better off with a hard-boiled egg, some veggies and hummus and a cheese stick for the same points. As part of my weight loss journey, I really started to look at my food choices. Yes, I could eat 100 cal pack of Cheez-its, but then I had to ask myself, are Cheez-its a good snack to have every day? And how long before the 100 cal pack just becomes a regular Cheez-its again? I knew I couldn't do what I had always done, and expect great results... So I swapped starchy or processed snacks for an apple a day, bananas on days I hit the gym, and usually grapes or watermelon. BTS is subtly encouraging users to do the same. I will say, I do not like the removal of the Good Healthy Guidelines. I am the first to admit that I was terrible at getting my dairy servings in, but I think shifting away from good hydration, and particularly away from ensuring a person gets a tablespoon of healthy oil each day, is not necessarily a good thing. The water is great for your skin, great for digestion and the number of other bodily functions, and so is the oil. The oil is good for your joint health, good for your digestive health and, let's face it, good for using the bathroom. I think the IT issues, the app glitches and the other connectivity issues that WW has been going through have definitely amped up everyone's emotions. 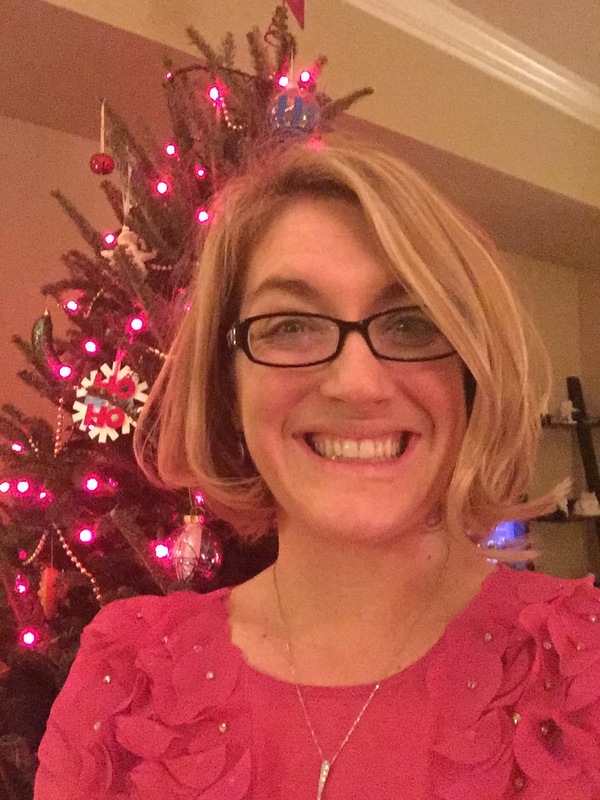 Not the best timing, particularly given the holidays coming and the associated stress there, but I fundamentally trust the program and I am really excited about where it is going, and where it's encouraging me to go! What about you? What are your first impressions? Check out Part 2 of 5 "Let's Talk Food! 5" Check out Part 3 of 5 "Working on My FitPoints 6!" Check out Part 4 of 5 "How Did You Do It? 7"